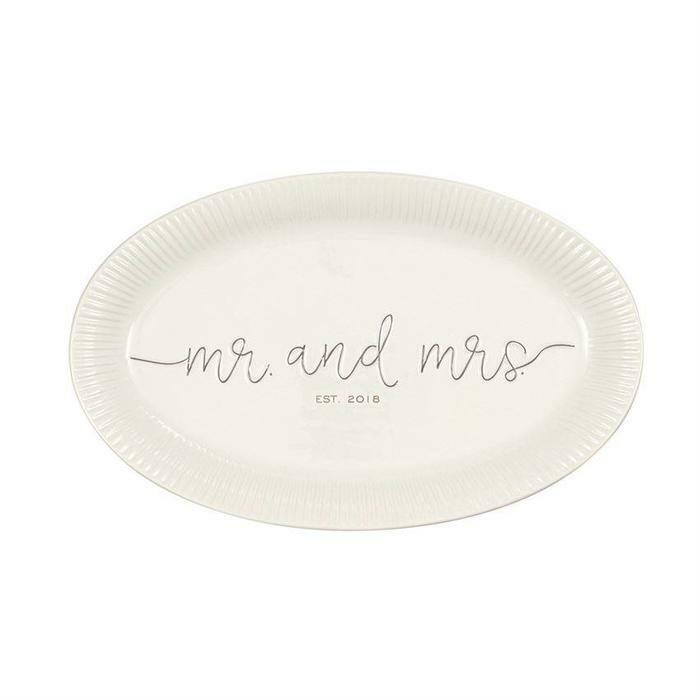 What better gift for a newlywed couple in 2018 than this ceramic serving platter?! 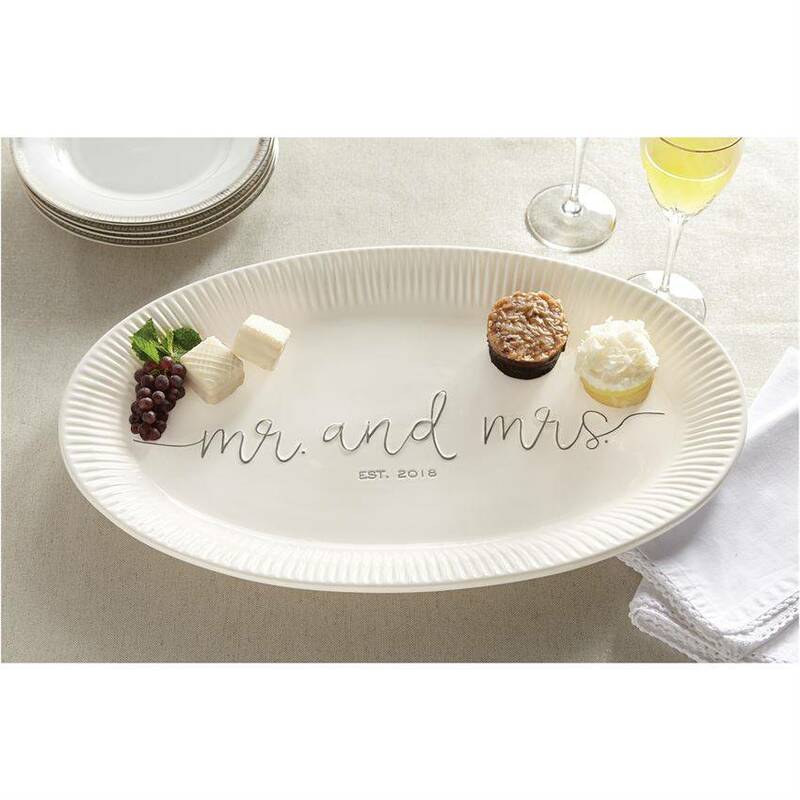 Generous in size, platter features fluted rim detail, embossed "Mr. and Mrs." and debossed "EST. 2018" sentiment.